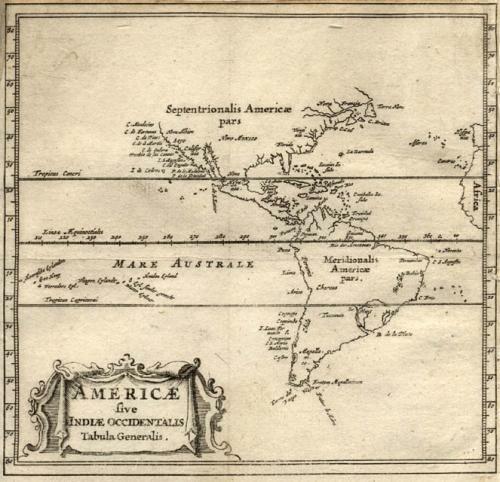 An elegant small map of the Americas, engraved by Bertius. This map was the first to appear in an editiion of Cluver's Introductionis in universam geographiam. Ref: (Burden 335). "It is drawn directly from the de Laet of 1630, and illustrates the coastline in some detail, recording many rivers and bays".